It didn’t take long for Google’s Nexus Player to realize I was hooked on the Food Network. Within just a few days, the strip of recommendations on top of the screen ballooned from a single cooking show to three of them, all at the front of the queue. Each recommendation was a direct link into the Food Network’s app, which offers free episodes for many of the channel’s recent shows. Google’s recommendation engine perfectly illustrates the potential of Android TV, the platform on which the $99 Nexus Player runs. When it works, it’s a speedy way to dive straight into something you’d actually want to watch instead of wandering aimlessly through apps. But like many other parts of Android TV, its appeal is dependent entirely on developer support, which is sorely lacking in these early days. 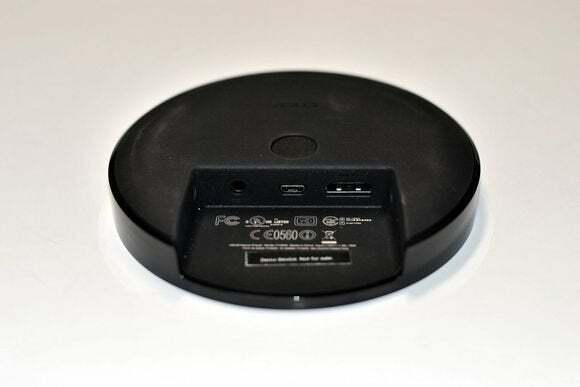 The Nexus Player keeps it simple when it comes to inputs and outputs. The included remote is small and basic, built from cheap plastic and powered by two AAA batteries. Up front, there’s a circular directional pad with a select button in the middle, and buttons for back, home, and play/pause underneath. Like Amazon’s Fire TV, it also includes a microphone and dedicated voice command button—more on that later—but there’s no clever headphone jack like you get with Roku’s remote. A couple more buttons for fast forward and rewind would have been helpful as well. 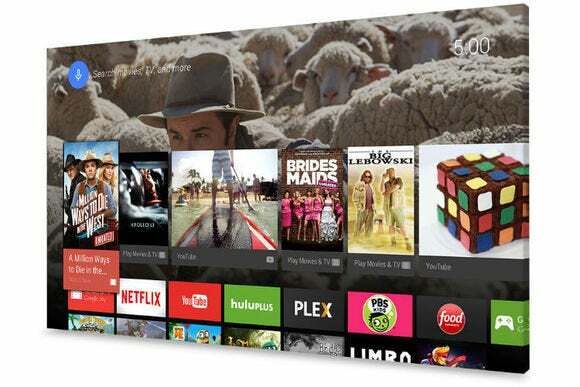 As with most TV boxes, what really matters is the software, and Google has tried to distinguish itself by keeping Android TV as simple as possible. There are no sidebars or sub-sections to drill through, and the entire interface is limited to three sections on the main screen. Recommendations are on top, a list of apps is in the middle, and games are on the bottom. The interface runs smoothly, and is so straightforward that it’s nearly impossible to get lost. That alone makes Android TV much more successful than the now-deceased Google TV. Compared to the static apps and games lists, recommendations are Android TV’s most intriguing feature. The recommendations strip starts off looking like a generic way to sell you stuff, skewed heavily in favor of new movies and TV shows from the Google Play Store with a few YouTube videos mixed in. But third-party apps can feed into this system as well, and they’ll show their own suggestions as you use them more often. Android TV’s recommendations section gets better with time, but could use more app support. The problem is that several apps—including Netflix—aren’t feeding into the system at all. (Netflix recently added a bunch of Food Network collections, too!) Whether it’s due to developer apathy or unwillingness to let Google control too much of the experience, the inconsistency hurts Android TV as a whole. We can only hope that non-participants will see users gravitating more toward recommended content, and will feel the pressure not to lose their audience. This spotty developer support carries over to several other aspects of Android TV. For instance, it’s possible for apps to tie into voice search so you can jump directly into their content, but the majority of apps I tried aren’t making search results available. Beyond direct links to Google Play and YouTube, most searches will only yield trivia and basic info from IMDB. On a more basic level, Android TV’s app support is quite limited. You won’t currently find apps for HBO Go, WatchESPN, or Twitch, for instance, and the total number of apps currently stands at 28. Until more apps become available, the more widely supported Cast functionality will act as a major crutch for users. 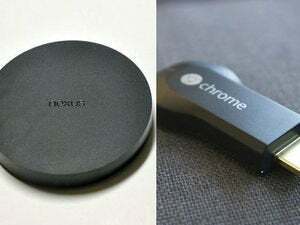 The Nexus Player doesn’t just fashion itself as a streaming media box. It’s also a cheap game console with an optional $40 game controller. Again, there’s potential here, but the execution falls short on several fronts. As you might expect, the gaming library isn’t particularly large at launch, though it’s unclear why. Over the last couple of years, the Google Play Store has built up a sizable list of games that work with physical controllers, including console ports like Grant Theft Auto: San Andreas, Sonic the Hedgehog 4, and The Cave. But you won’t find any of those games on Android TV currently. The optional $40 controller mimics the look and feel of console gamepads. The bigger problem is that Google Play Games has no trial mechanism for paid games. While I don’t think every game should be fully free-to-play, right now there’s little incentive to even see what Android TV’s gaming component is all about. For all that Ouya did wrong, its emphasis on having some free-to-try element in every game was a revelation, and needs to be copied. If you do decide to splurge on a few games, don’t expect them all of them to be available on your Android phone or tablet. Some games in the catalog are TV-specific, and even games with multi-device support don’t always carry your progress over. 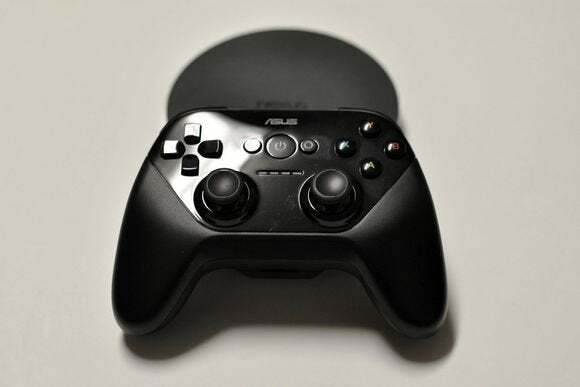 With so many people using Android phones and tablets, there’s a huge opportunity to pitch Android TV gaming as “buy once, play everywhere,” but it’s just another area of inconsistency right now. Android TV clearly has some challenges ahead, but I’m still rooting for it. While it may seem like the world doesn’t need another set-top box platform, Google has proven that there’s a better way to build one, drawing its core strengths in algorithmic suggestions, voice search, and sharp UI design. But should you buy a Nexus Player right now? Only if you want to see where Google’s vision goes and can subsist on a handful of basic apps like Netflix and Hulu until the ecosystem starts to fill out. Either that, or you’re really into the Food Network. 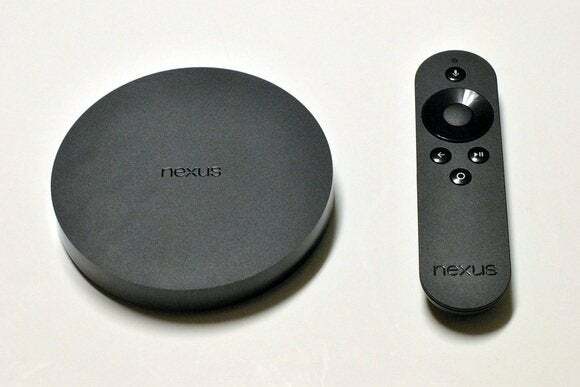 This story, "Nexus Player review: Google’s third attempt at TV is a fine first draft" was originally published by TechHive. 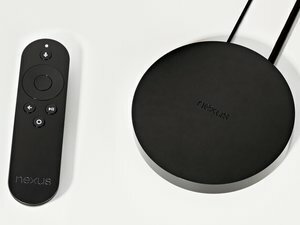 Google finally gets the TV box right with the Nexus Player, but it needs a lot of help from developers to reach its full potential. Dead-simple interface that's impossible to get lost in. Clever recommendation system that's more than just a sales pitch. Better than Chromecast with a dedicated remote for play/pause functions. Not enough developer support for Android TV's unique features. Gaming is a missed opportunity with no free trials and limited carryover to phones and tablets.